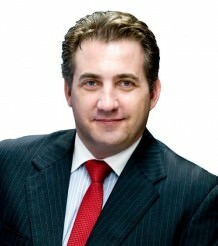 Toby’s specialties include Self-Managed Superannuation, Business Succession and Investment Advice. He strongly believes in the benefits of integrated advice and actively engages with our accountants and our clients’ lawyers to achieve the best overall structures, strategies and solutions. Our clients are time poor and are trying to navigate the risky and complex investment landscape in today’s markets. Defining clients’ goals and focussing on the immediate challenges is the key to establishing relevant and effective strategies. Clarifying their strategy allows our clients to be in control and manage the timing of critical decisions to identify and protect key assets which ensures they stay on course and achieve their more valuable longer term goals. Toby has worked with many families on the complex areas of Succession Planning, Estate Planning and the inter-generational transfer of wealth. He has seen first-hand many of his clients realise their lifestyle goals and benefit from professional advice over the last 15 years. Toby is passionate about preventing and avoiding “costly mistakes” and preserving “A Lifetime of Effort”.